Park Grove, the newest addition to Coconut Grove real estate, is turning out to be just as popular some of the condos in Edgewater and Brickell with over 80 percent of the properties in the building sold. With ground-breaking taking place very soon, the completion of the first tower is expected to be sometime during the first part of 2017. A couple of well-known area celebrities who have purchased property at Park Grove include healthcare CEO, Mike Fernandez and Brazilian race car driver, Emerson Fittipaldi. Plans show that Park Grove consists of three towers housing 298 residences. 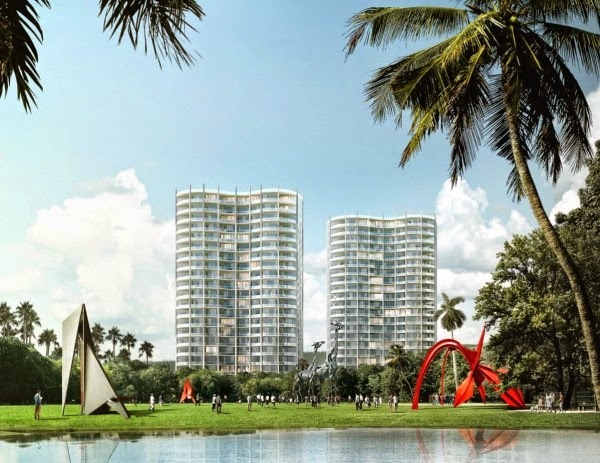 The condominium, situated right on Biscayne Bay, has been pegged as an alternative to the Grove at Grand Bay which has sold out. The site for Park Grove sits on 5.2 acres of bay front property at 2701 Bayshore Drive. The location is ideal as it is in the heart of Coconut Grove across from Dinner Key Marina and within a short walk to shopping and restaurants. Along with Dinner Key Marina, Coconut Grove is known for its exclusivity and some of the most beautiful tourist sites including Vizcaya Museum and Gardens and Barnacle State Park. Situated next door to the under construction Grove at Grand Bay, Park Grove must be able to stand on its own in terms of architecture and it does. 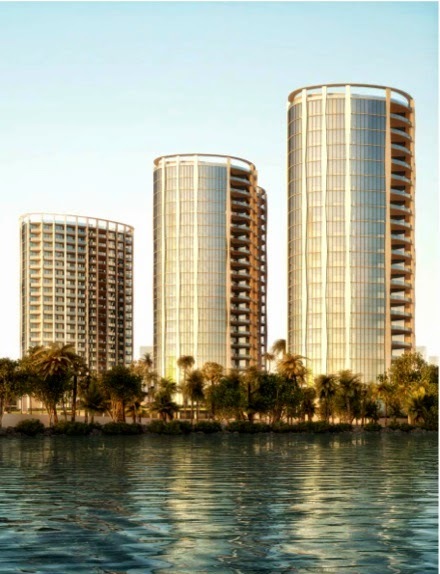 The architectural design of Park Grove’s Towers One and Two resemble the shape of a peanut – albeit a glass peanut, but still a peanut (aerial renderings). This design of the buildings allows for extended balconies with each residence. Tower Three (referred to as the core tower) is more cylindrically-shaped and like the others has a glass exterior. When we say that no stone is being left un-turned, we mean that no stone is being left un-turned. The promotional brochures show that some of the Park Grove amenities include an extensive and amazing art collection (Jorge Perez is involved so of course art is a major part), 24-hour concierge, valet and butler service, wine cellars for residents, kids indoor and outdoor play areas, rooftop pools with private cabanas, a state-of-the-art fitness center with area dedicated to yoga, integrated media system and library, game room, business center with meeting rooms, and more. On top of this, the building is LEED-certified to ensure steps are taken to protect the environment. The details of each residence include 10-12 foot ceilings, walls of windows; luxury fixtures and finishes; Sub Zero and Wolf appliances; Italian cabinetry with glass doors and stone countertops in the kitchen; walls of windows, spacious bedrooms and over-sized balconies with unbelievable water and city views; and so much more. Tower Two at Park Grove features high ceilings and 20-foot balconies along with all of the amenities mentioned above. 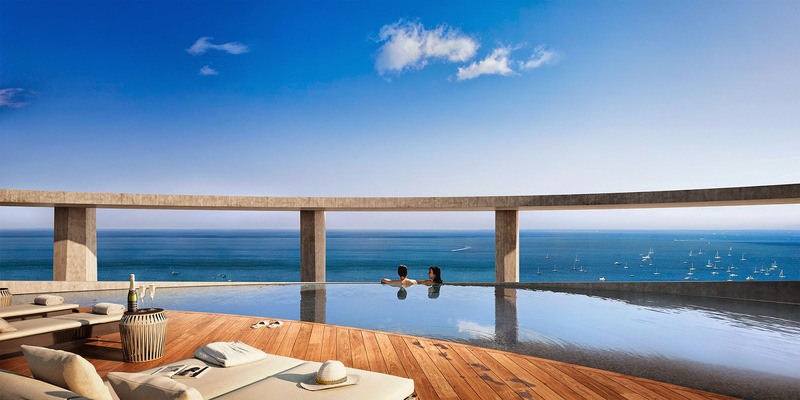 The composition of residences includes one, two, three and four-bedroom units in addition to penthouses. Tower Two is the superior tower of the compound with 12-foot ceilings in most residences and private pools with the penthouses. In Tower Three, the plans show eight floor plans with a mix of one, two and three bedroom units each with ceilings reaching 10 feet. Even though Tower Three houses the most affordable residences, it is still full of all the bells and whistles. Construction is set to begin soon for Tower Two which is 80 percent sold out. The square footage for these properties ranges from just over 2,200 square feet to over 3,500 square feet (four-bedroom/five and a half bath) with list prices falling between about $2.5 million and $5 million. 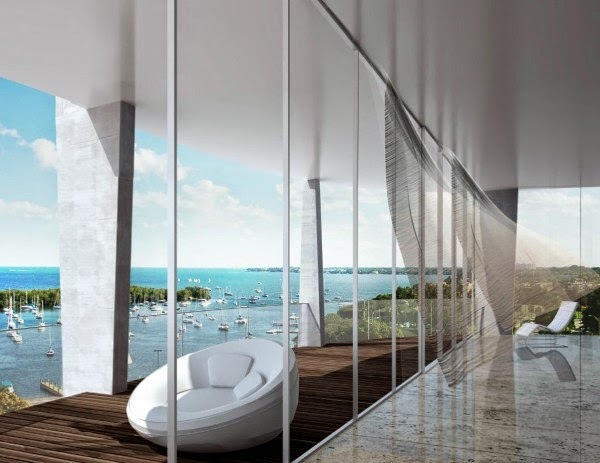 With the Grove at Grand Bay’s unique architectural design and insurmountable luxury, it is imperative that Park Grove hold its own – especially in Coconut Grove. And from what we see, it definitely does just that. This is the perfect place to land if you want to live in “the Grove” and expect a certain level of luxury. Park Grove has everything and more.